I know many grownups that cannot choose. It just so happened they were kids who could not choose and their parents did not help them overcome this. Not being able to choose is being overwhelmed by choices. Sometimes, it is so severe they struggle even when they have only two options to choose from. For some, it is a character trait (those kids seem to be procrastinators), but most have just had no chance to practice choosing and enjoy the ride. The best way to get over this is to teach kids strategies for making decisions and to give them opportunities to practice. The most wonderful thing is that you need to do it systematically only for three weeks to start noticing change. Many of my clients, even those parenting babies and teenagers, say their kids have fewer “tantrums”, they express themselves better, it is much easier to communicate with them and they are more confident, more decisive and less “hormonal”. Kids need to learn to make choices and it is our job to give them opportunities to do so in situations that are not so critical to allow them to gain confidence and learn that there are advantages and disadvantages to the options in front of them. You can give your kids opportunities in many areas of life. In our home, we have been creating systematic ways to give the kids opportunities to make choices regarding food. They can choose what they want for dinner, what to make (if they are making it), what to buy from the market and how much to put on their plate. When I was a girl, my mom used to serve us food and we had to eat whatever she put on our plate. Sometimes, she would put too much and we were forced to finish it. I never liked it and always thought it did not show respect to us kids and did not help us make our own judgment about how much would make us feel full. Kids can always have “seconds” and no one likes waste. Gal and I decided that in our family, the kids would serve their own food. When they were too young, we put a little bit and asked them, “One more spoon?” or “Would you like some more?” before putting it on their plate. Kids need to learn to say to themselves “That is enough for me” or “That is too much for me”. Let them serve their own food. From time to time, you can give them an opportunity to choose what they want to eat. 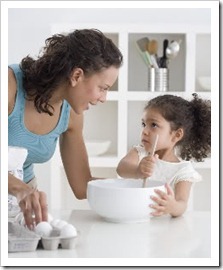 You can pick a day a week that each family member can choose what to make for dinner or what they will make for dinner. This is an awesome way to get your kids more involved and more appreciative of what is served. If you have 3 kids and everyone makes dinner once a week, you have to make a lot less and more of what you make will be eaten. 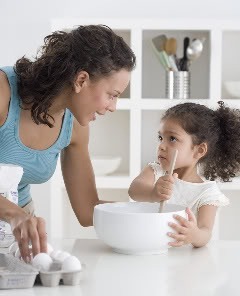 When kids make the meal, they also have to do the shopping and to think of things ahead of time to make sure what they need is available, they may need you to buy things at a special store and they need to allow enough time for preparation. The more they cook, the better they will become. Going with kids to the fruits and vegetable market can help them practice choice as they need to help you find things within your budget and learn how you choose apples, eggplants or cucumbers. Kids tend to think you just go, pick something and come home, but if they come with you, they can see that the cheapest is not always the best and the most expensive is not always worth buying. They also learn things about the quantities you need, so you can give them a bag and tell them to choose 14 cucumbers, 2 for each day of the week, and they will learn things about your thinking process. Some families get to eat out a lot. This is another wonderful opportunity to teach your kids to choose. If they can read, let them choose what they want to eat from the menu. If you have budget limitations, let them know they can choose within that budget. If you have junk limitations, let them know that too. Gal and I do not drink soft drinks at home, but when we go out to eat, we are not fussy about that. Our kids can choose whatever they want to drink and most of the time, they order fruit juice. When we lived around the world, we ate a lot in restaurants (mostly local family places, not fast food). In Thailand, we ate outside the house about 5-7 times a week (there were food hawkers at the entrance to our complex). 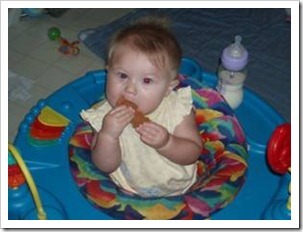 Our kids could always choose what they wanted to eat and they became wonderful eaters and very adventurous with food. If we go to a new restaurant, they will choose things we can share, safe things (that they know they like) and new things to try. Gal and I are very proud of them for that. For our birthday, each of us chooses any restaurant we want and this had worked since Eden was 3-4 years old. Kids can choose what to wear. 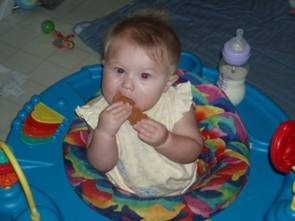 We had this thing sorted since Eden was about 1 year old. I would show her two sets of clothes and ask, “Which one you want to wear today?” and we never had fights over clothes. Although she did not pick the two options, she felt she was making a choice. I remember Eden at the age of 5 in Texas during one of the hottest days of the summer, going to her daycare with boots and a wool sweater. Everyone asked me, “Why did you let her?” and I said, “I believe she needs to make her own choices about what to wear and she will learn from it something that words cannot teach”. And she did. Other than that, follow your own desires, make your own choices until you find the right thing for you. Every morning, when we drop Eden off at the bus station, we stand in front of the light and have two choices: we can go straight and drop Tsoof off at the bottom entrance of his school or we can turn left and drop him off at the top entrance. Every time we stand at the light, I ask the kids, “Straight or left?” and they have about 30 seconds to decide. Anything they say is good, so it has become a game. In the first weeks, it took them time to reply and I would make the choice myself, but after a while, they became so fast that they answer in a flash. 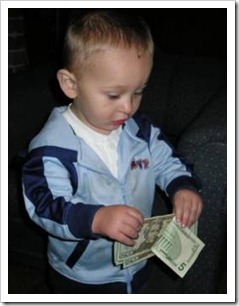 Pocket money is a wonderful way to give kids opportunities to practice choice. They need to plan, they need to wait and they will need this skill for the rest of their life. 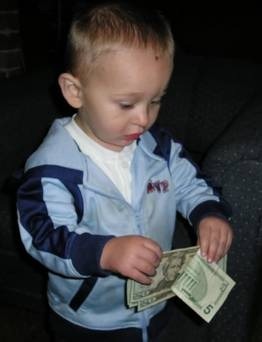 In our family, pocket money is given as soon as the kids can count to 10. 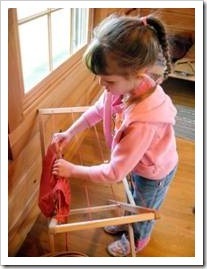 Eden was so good at it, she saved lots of money. As I was her bank, I realized she had lots of money and never used it. She was 10 years old with over $1,000 (this is what happens when you start saving when you are 2-3 years old). I realized she was good at saving, but not good at using her money (I did not write “spending”, because I do not think that using and spending at the same). I went o her and said, “Eden, I would like you to take $100 and use it to do something you love. Money is not for saving. It is for using and enjoying”. She said to me, “There is nothing I need. I don’t want to use it”. So I realized Eden lived in a home where there was always money, she never needed anything and she had everything she wanted, so her “money-using muscle” was very weak. I tried to convince her that this was for her own good and when that did not work, I told her she had a month to use this $100 or I would take it out of her account anyway”. She was angry with me and said, “This is my money. You can’t do that!” That was true, but I did not reply. After two weeks, she said she wanted to have a haircut and at the end of the month, she bought herself 2 pairs of jeans. She was just 10 at the time and since then, she has used her money wisely and enjoying life very much. She is also very rich for her age with lots of savings. See also Young Kids and Money and Ronit’s Parenting Bible: Money. Having a (birthday) party is a wonderful way to help kids practice choice. I know that some people are afraid of allowing kids to choose, but I think it is OK to give the kids limitations and tell them to choose within those limitations. No, you do not have to spend a fortune on it and have 150 kids in your balcony, eating just junk, but you can allow your child some freedom on their special day. You can tell your kids your limitations and then work with them. They can choose a theme, they can choose who to invite, they can choose the invitation style, they can choose whether to make a cake or to buy one (and what kind), the decorations, the goodies for the goodie bag, the games and lots more. All kids must learn to manage their time. Managing time is another way of saying “choosing well how to spend your time” and this requires practice. When kids are young, their parents manage their time completely and gradually, they are asked to take more and more responsibility for this. The first thing we can do to help kids practice good time management is to give them a sense of time, which can be done even without them being able to read a watch. When they play, come to them and say, “We are going to dinner in 10 minutes”, then come after 5 minutes and say, “It’s a good idea to wrap things up now. We are leaving Donna’s house in 5 minutes”. This does not have to happen to the second, but when you do these things, you are telling the child they can choose what to do with the last 10 minutes of the game. When the kids are older, you can say, “Would you like to do math before dinner or after dinner?” or “What is more important to you now, doing your assignment in science or finding information about the famous person you need to write about?” The questions will help the child weigh the two options and this is a very important skill. When you go to the video store, your kids probably want to take half of the videos and watch them day and night. You can say, “You can only choose one movie a week and it must be G or PG rated, but choose any movie you like”. On a 2-week school break, when your child really wants to watch 4 movies (which you are OK with the rating and everything), you can say, “We can watch one movie a week. You can pick any movie you want to see this week and one more to see next week”. If you think one of the films did not get great reviews, let go. Kids enjoy different things. It is OK for them to go watch a movie and say, “It wasn’t very good”. Do not be tempted to say, “I told you so”, because that is external pressure. You can say instead, “I’m happy you’ve watched this movie and that you’ve developed your critical thinking”. Sometimes, we need to see bad movies to learn what is good and what is bad. I promise they will make better choices next time. I believe every area of life can provide opportunities to let your kids practice choice and this requires us, the parents, to let go of our desire to control our kids and to appreciate the process that every person must go through in order to gain confidence in their ability to make decisions. Join me next week for the next chapter of Kids’ Declaration of Independence and I will share with you some techniques for making choices.